The secluded area we found to camp is so beautiful and peaceful we linger through the morning and into afternoon. On the road by 1pm we complete the short drive to Puerto Río Tranquilo. 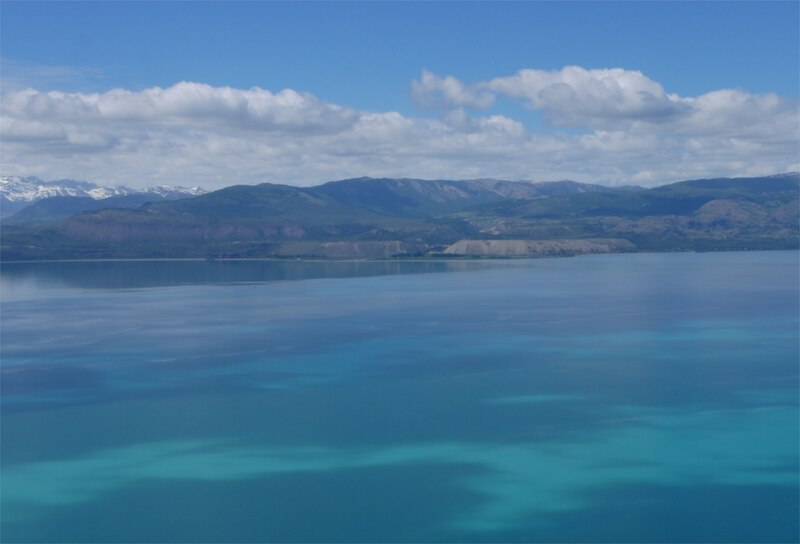 Early on in the drive the road begins to hug the shoreline of a breathtakingly bright turquoise lake known as Lago General Carrera to the Chileans and as Lago Buenos Aires to the Argentineans. The lake is huge and we read that it is South America’s second largest lake. 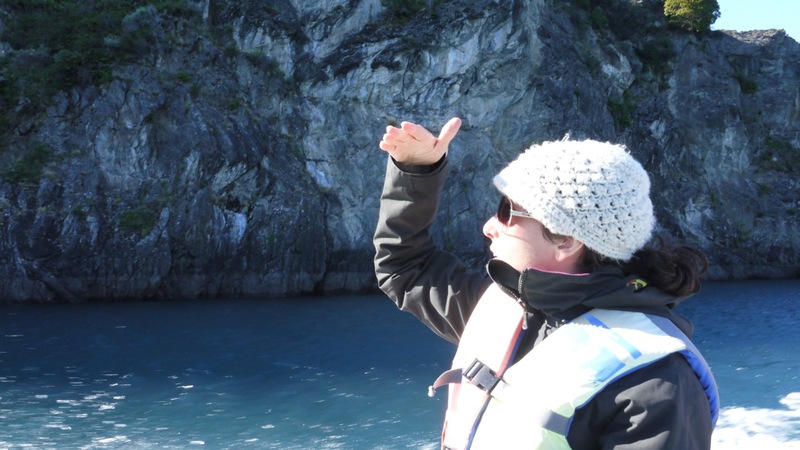 We pull into Puerto Río Tranquilo, a two block town, around 3pm and are immediately greeted by Juan, a man who lives across from where we are parked who happens to offer boat tours to the marble caves—the town’s primary tourist attraction. We debate whether it is best to make the trip that day, a sunny but very windy day, or to wait for the calm waters of the next morning. We decide that waves are fun and we dislike getting up early so we head out in the boat with Juan. Once on the water we are able to gauge that the waves are about three feet tall. On the way to the caves we are going with the wind and are thankful that we brought our waterproof gear for the ride back. Juan tells us that these are nothing; sometimes the waves here get up to three meters tall—about nine feet. 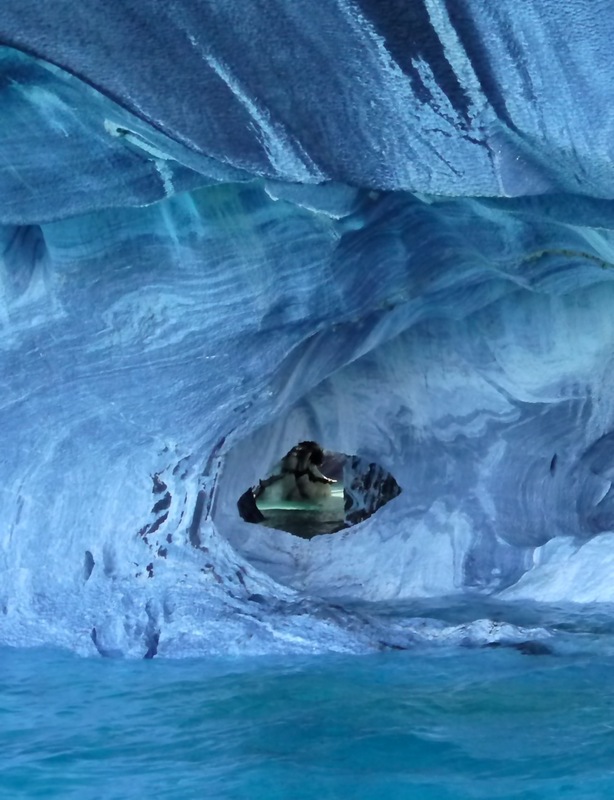 The marble caves are beautiful and we are even able to get off the boat on one formation and walk around inside it, running out hands over the smooth surfaces. 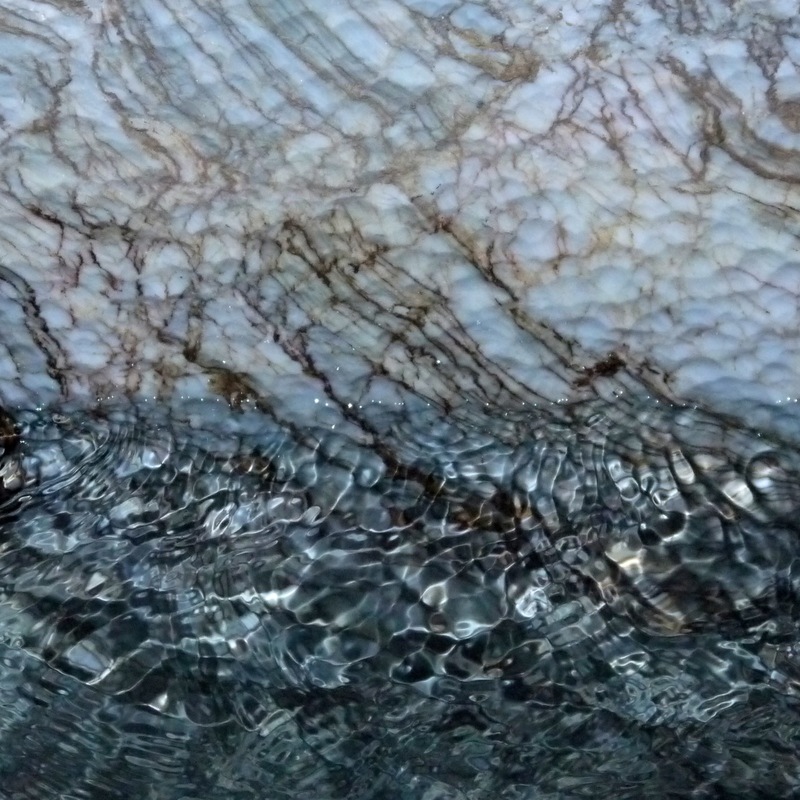 The marble is white, grey, pastel yellow, and very light blue with veins of iron and patches of quartz. 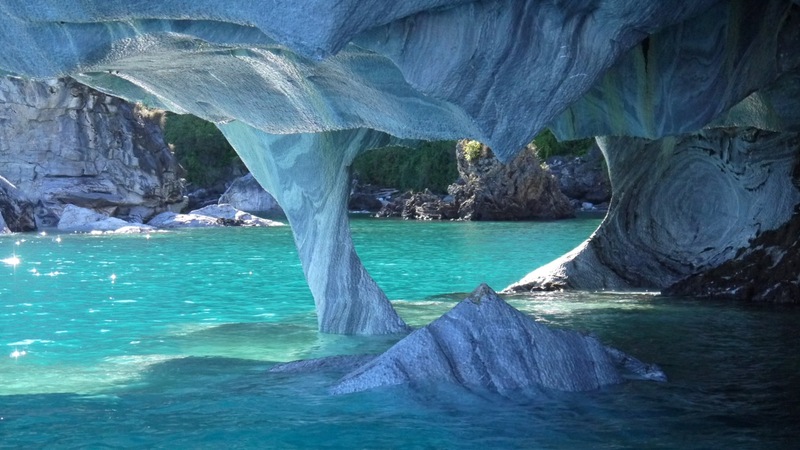 The caves magnify the color of the already turquoise water. Once back in the boat Juan hands us extra ponchos and has us move to the back of the boat so we can begin the rough ride back to Puerto Río Tranquilo—this time we are headed into the wind. 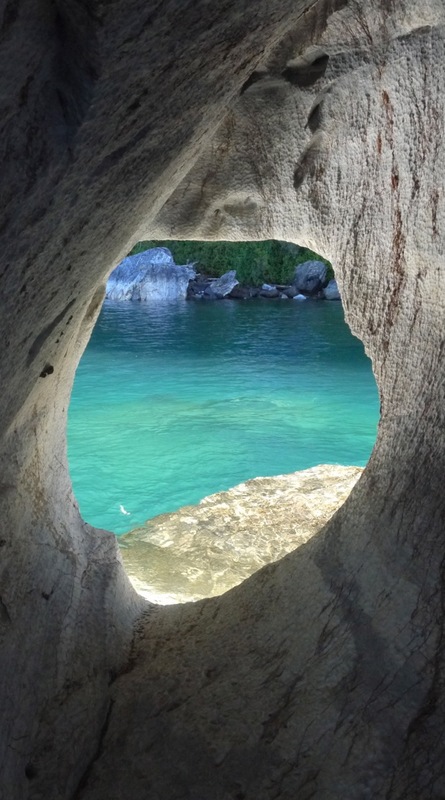 It starts out calm, but as soon as we turn the corner of the marble cave bay we see the waves. For the next twenty minutes the little boat goes up, crashes down, and goes up again. We get soaked with each wave, laughing hysterically the whole ride home. Big waves make it more fun, Juan tells us. We agree. Once back on shore Juan invites us over for coffee and pie. We follow him to his house, a future restaurant and hostel currently in the making. He tells us a little bit about his time living in Idaho and Arizona herding sheep and about the move to his current home in a town of 400 residents. 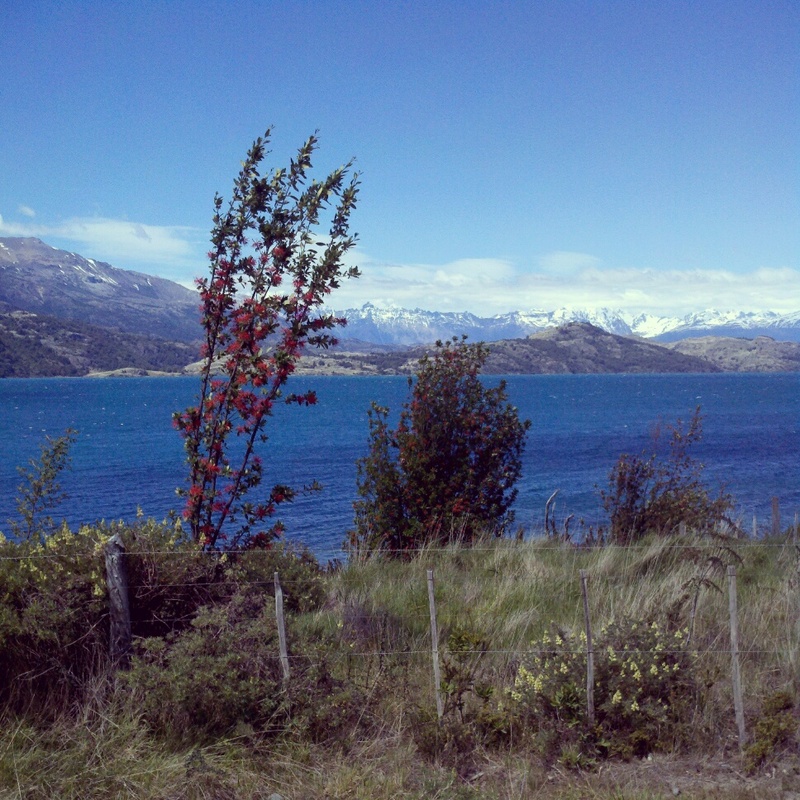 We all practice our Spanglish as we learn about the area and the influence of the Carretera Austral on the town. The short trip we just made from Coyhaique, the location of all supplies in the area, used to take two weeks by boat and bus each way prior to the road’s construction in the 1980s, so getting supplies in Coyhaique used to take at least a month round trip. For gauchos with cattle to sell the walk took three months, or more when they had to wait out a river to high for the cattle to cross. Now they load them onto a truck and arrive within hours. As the day draws to a close Juan says he has to run an errand in his truck but that we are welcome to stay and use his bathroom to take hot showers. We take him up on the offer. Once clean we head over to a nearby restaurant for a dinner of Salmón and potatoes and then back to the camper to sleep in town parked along the beach. The sky is crystal clear and the waves are still going strong, crashing one by one along the shore.